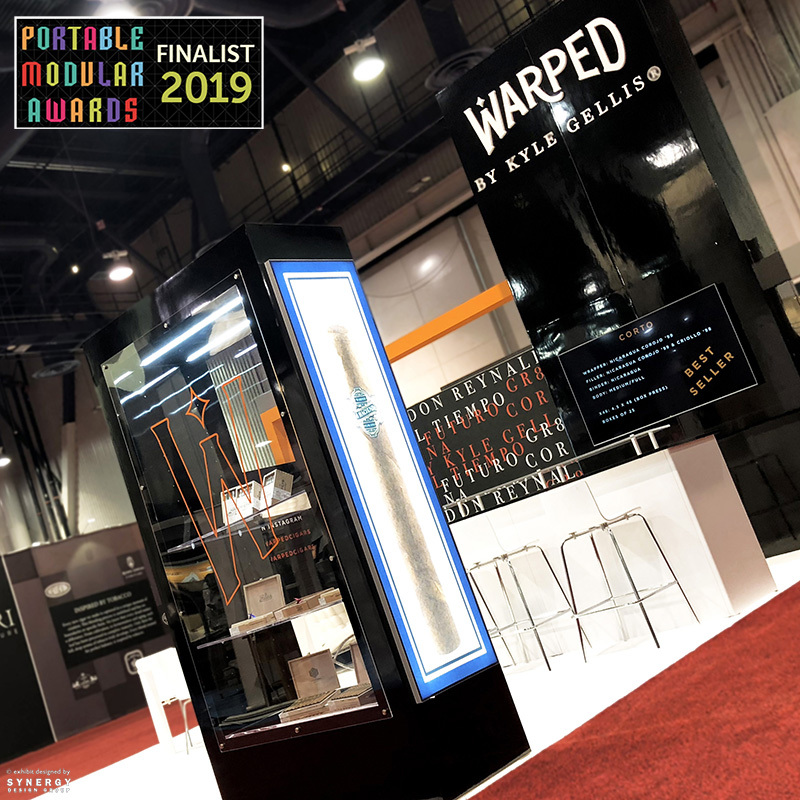 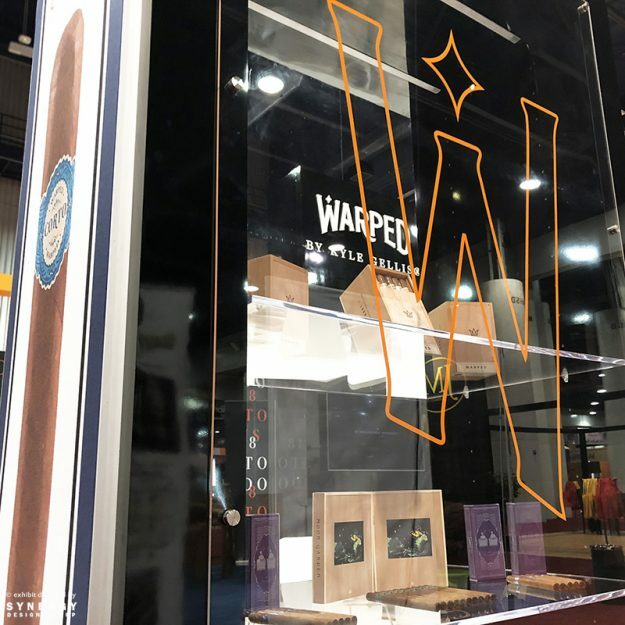 After consulting with client Warped Cigars on their objectives for IPCPR 2018, we collaborated on a custom trade show display. 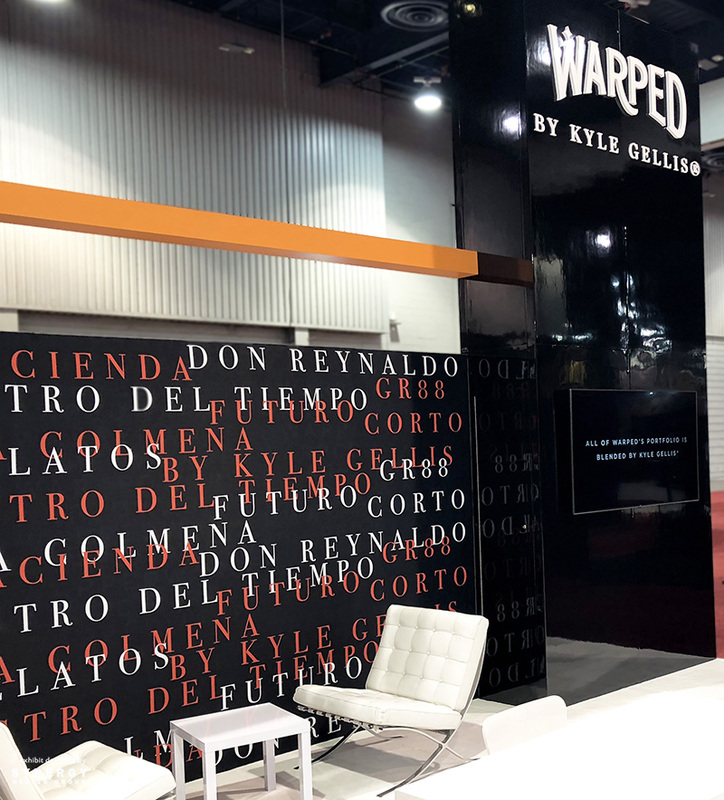 In order to align with Warped’s “Exclusively Different” brand, we created a custom solution for their show. 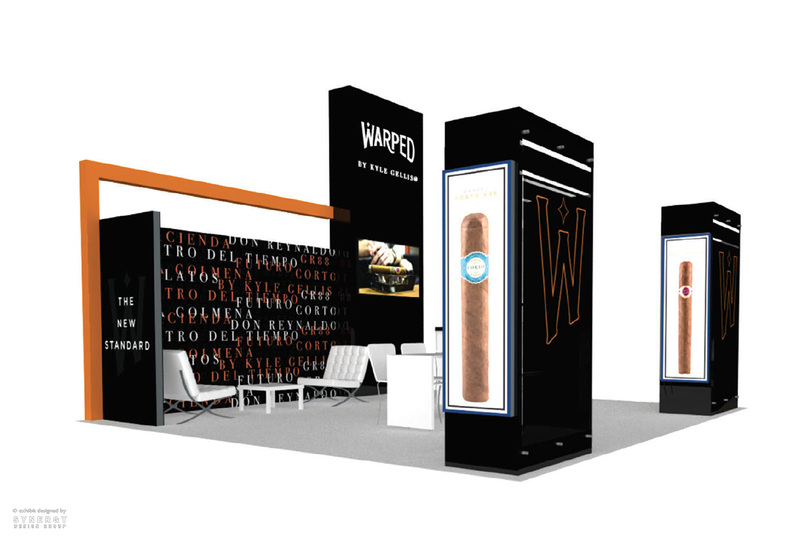 For example, two custom lightbox product showcases line the perimeter. 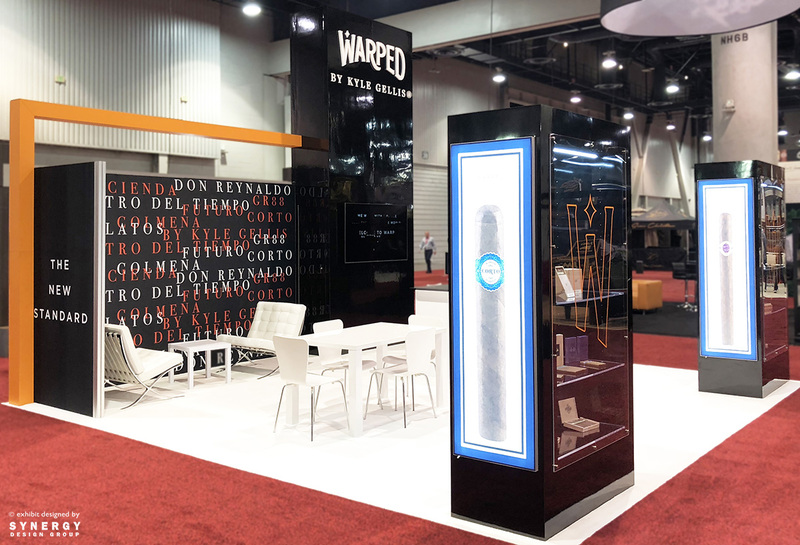 A 16-foot branded tower with 3D logo gives our client great visibility. 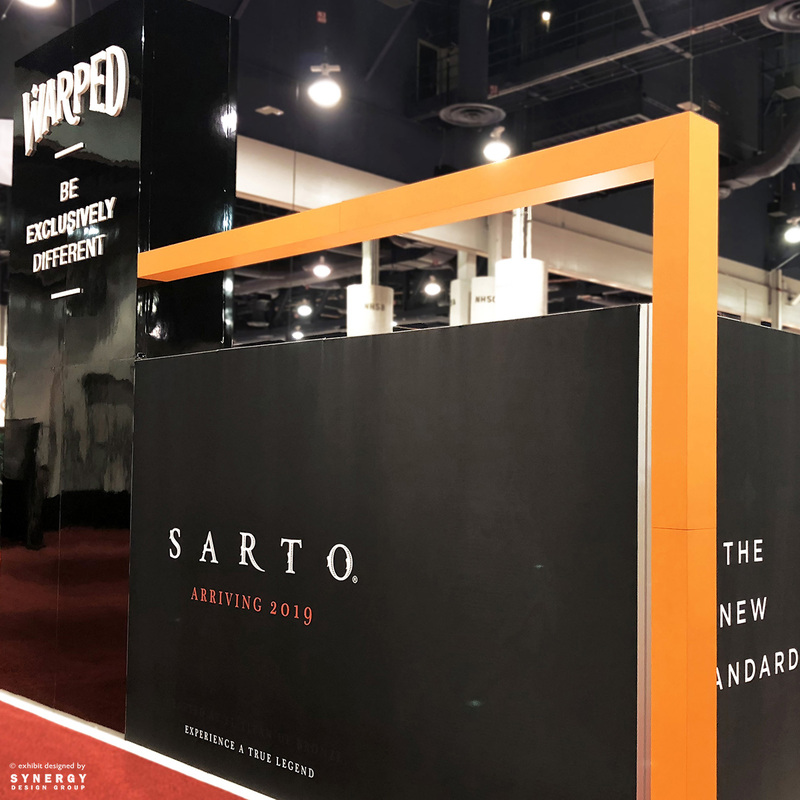 In addition to architectural accents, the 20×20 island exhibit also includes guest-centric details. For example, a hospitality counter, video monitor and VIP lounge area delight attendees.